(ZIZ News) — The 20th annual St. Kitts Music Festival has made a significant impact on the activity in St. Kitts particularly the tourism field. 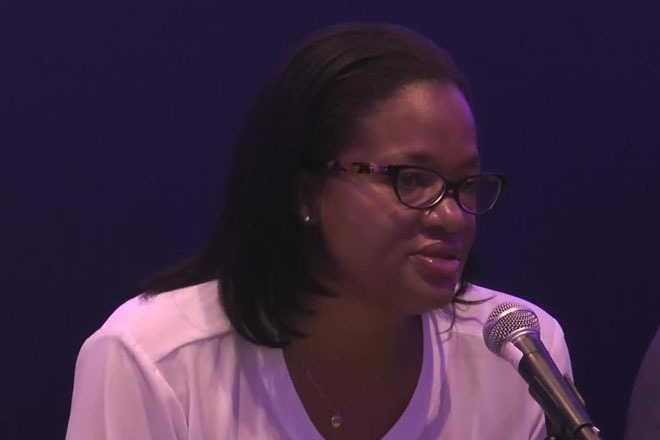 That’s the word coming from CEO of the Saint Kitts Tourism Authority Racquel Brown. She made the comment at the Saturday morning press conference held at the Sky Ultra Lounge of the Royal Beach Casino. “These are the various metrics that we have: the hotels are all full, most of our car rental agencies are sold out. We see on the strip, we see in the town of Basseterre, we see a lot of activity, so the objective of the Music Festival is not just about heads in beds but it’s about the economic benefits that would trickle down and I think for what we’re trying to achieve in terms of restaurants, hotels, excursion, rental cars, and other sectors of tourism it’s achieving that for us,” she said. In a previous press conference Minister of Tourism the Honourable Lindsay Grant stated that the goal of Music Festival was not necessarily to make money but to raise the profile of St. Kitts on the international scene. Miss Brown said that goal is being achieved and she expects to have official numbers of visitor arrivals after the end of June.